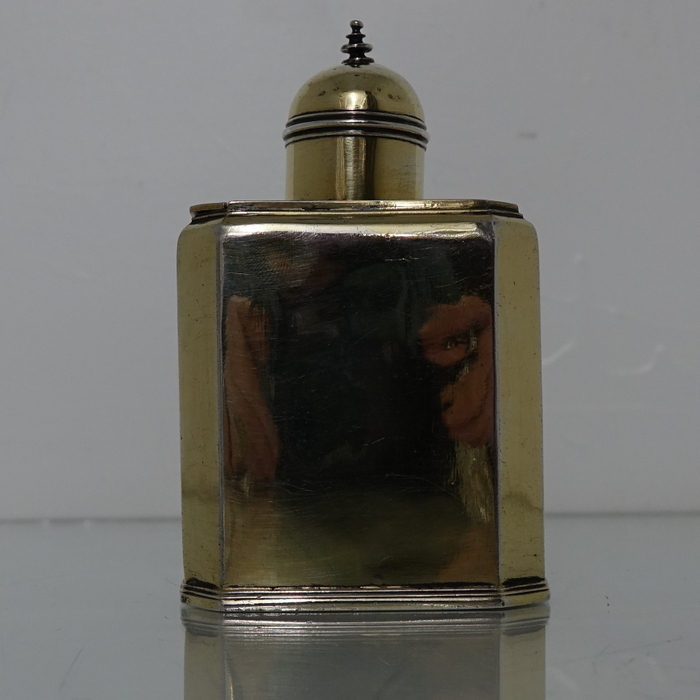 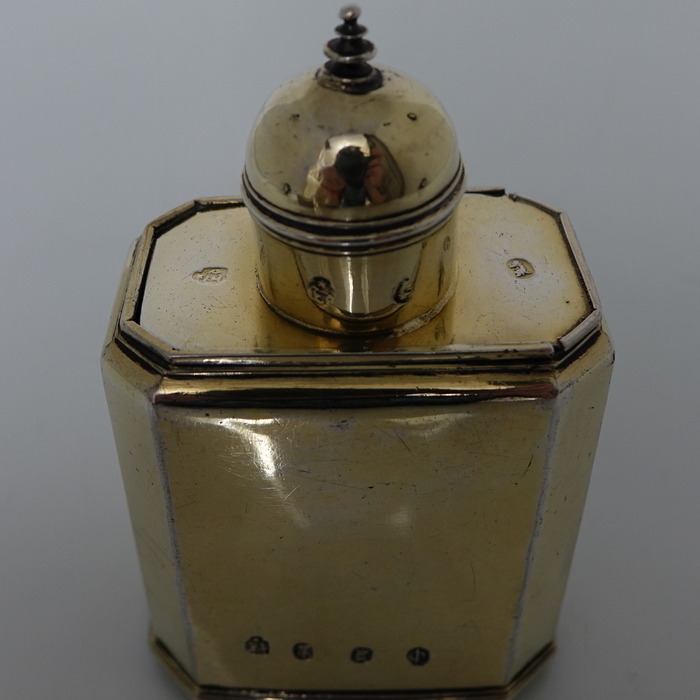 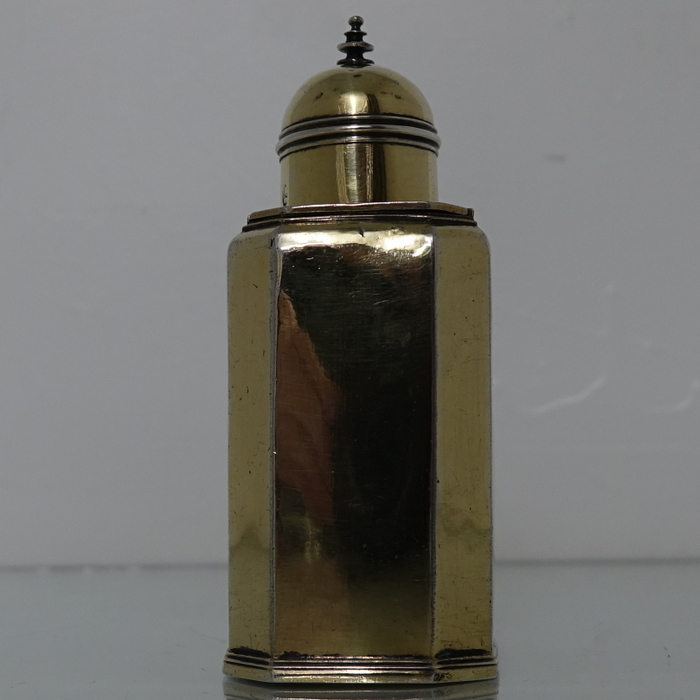 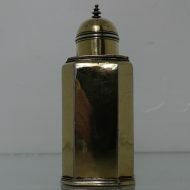 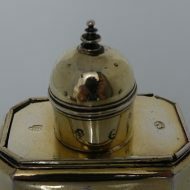 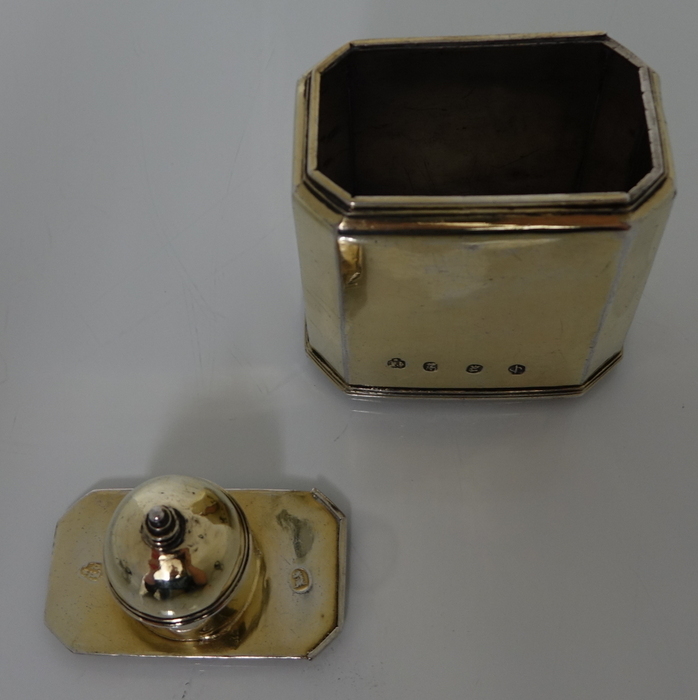 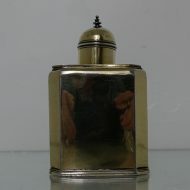 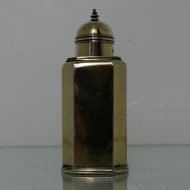 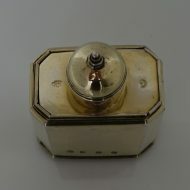 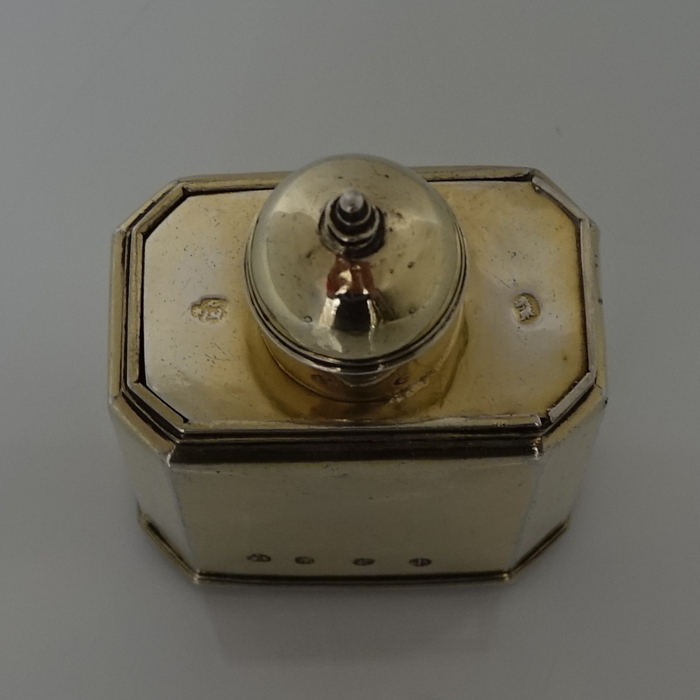 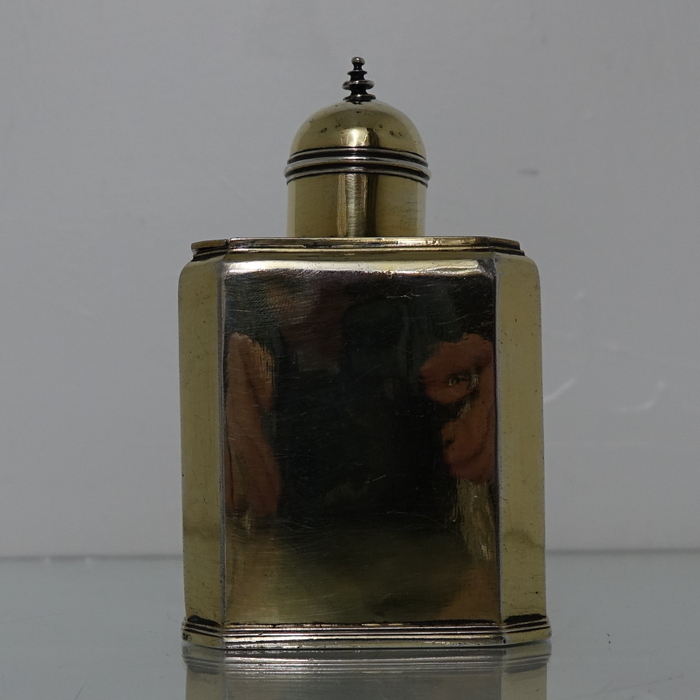 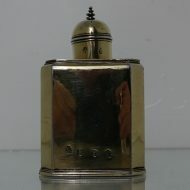 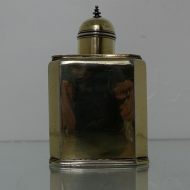 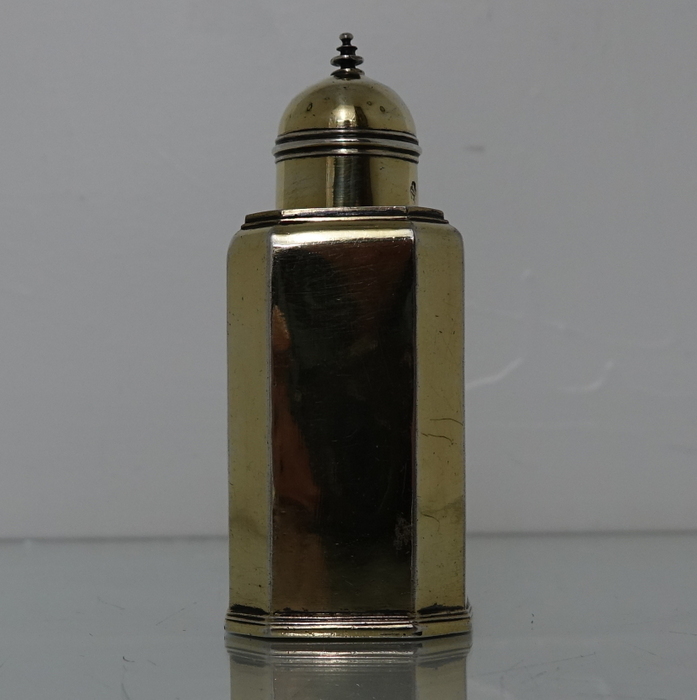 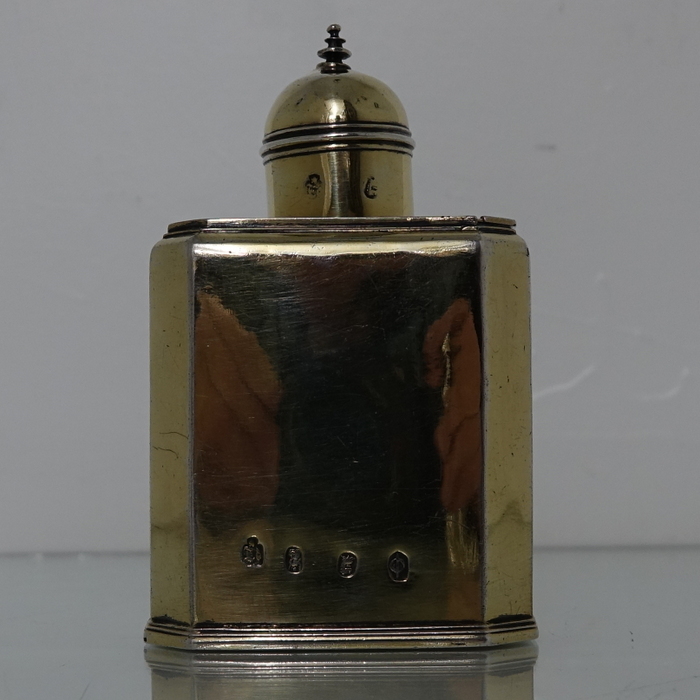 A very elegant fire gilt octagonal tea caddy with a sliding section (slide top) at the shoulder for filling the caddy. 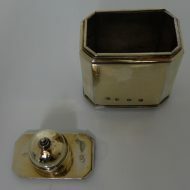 A very elegant fire gilt octagonal tea caddy with a sliding section (slide top) at the shoulder for filling the caddy. 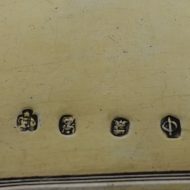 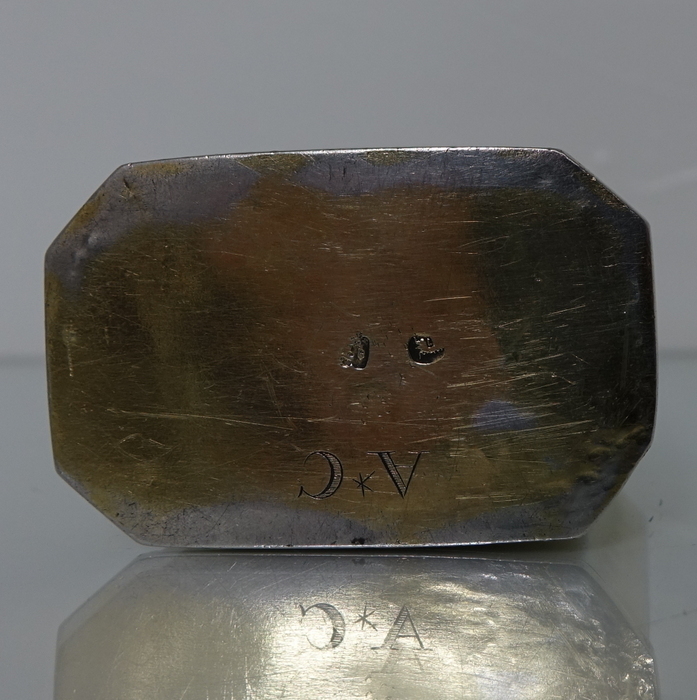 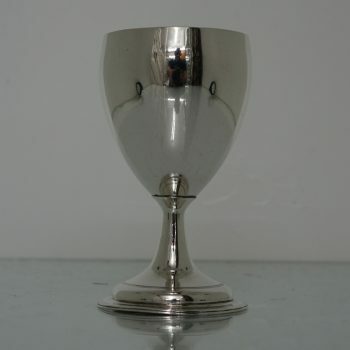 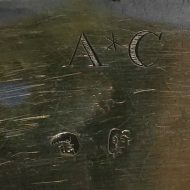 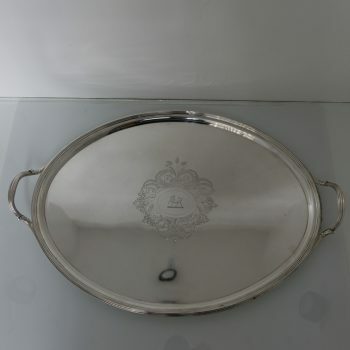 The base has a stylish hand engraved contemporary initial for importance. Condition: Excellent throughout. 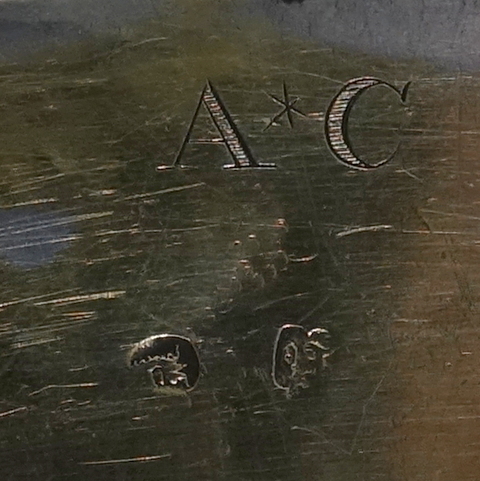 Contemporary gilding. 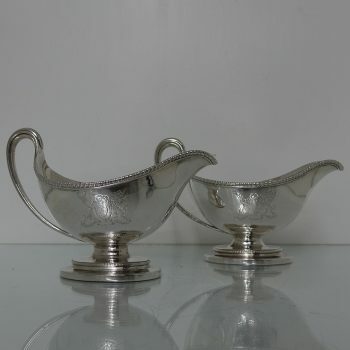 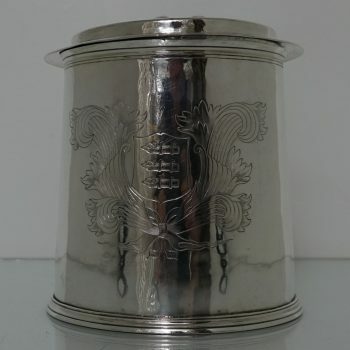 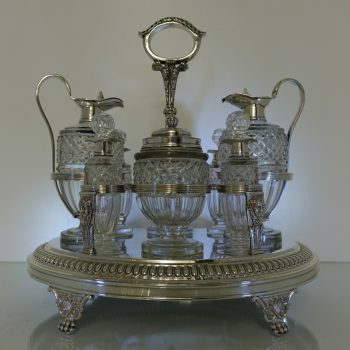 Beautifully hallmarked throughout. 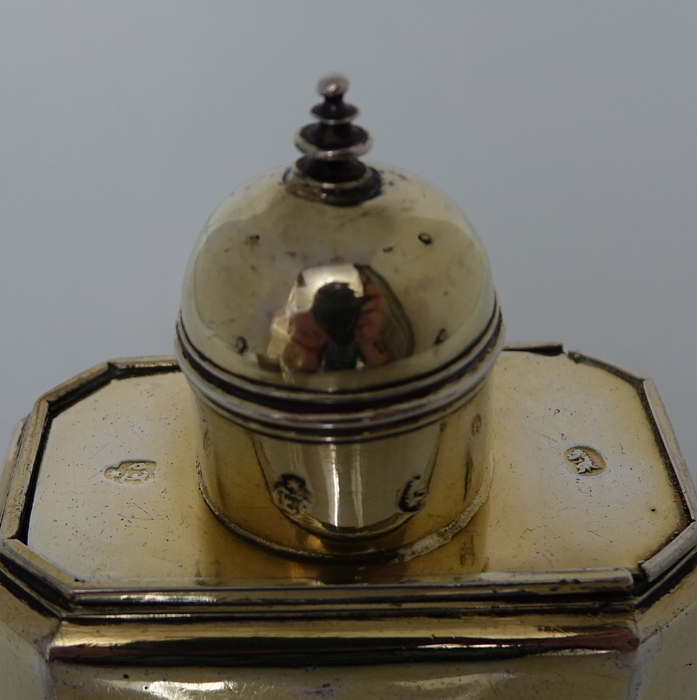 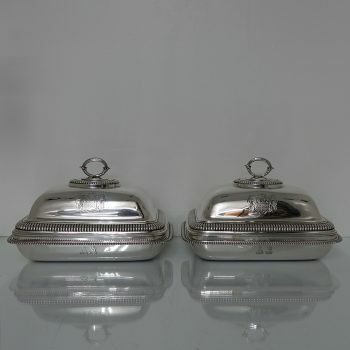 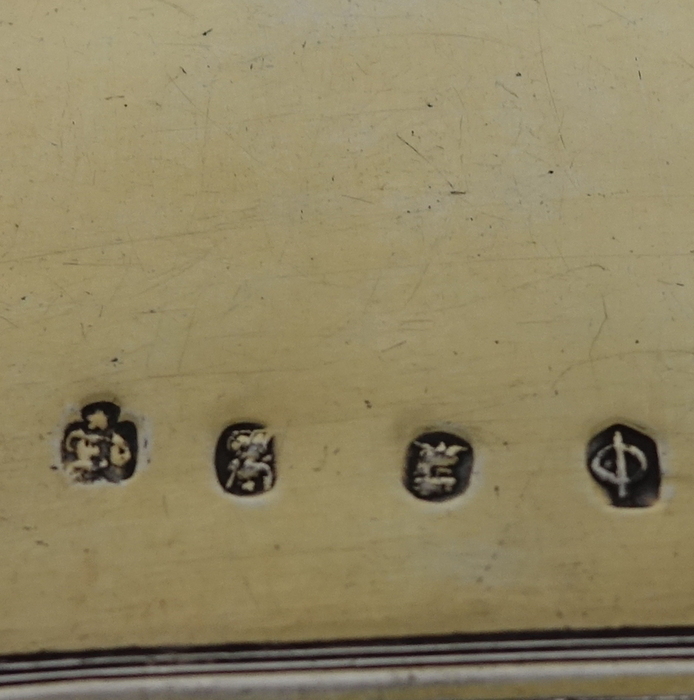 Very unusual to be hallmarked on domed lid.